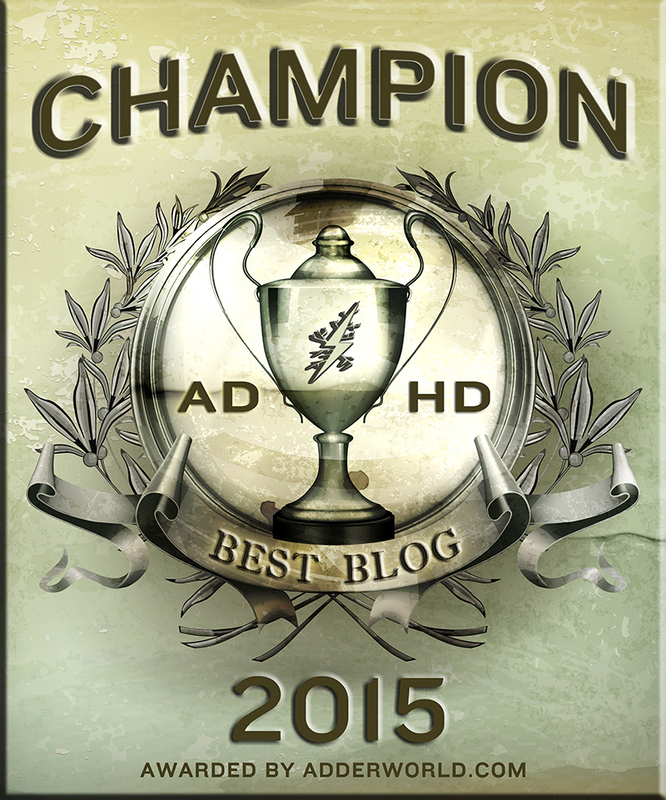 It’s an honor to present you with many of the best ADD ADHD blogs on the web. It’s kind of strange, really. When I think about it. This blog, ADDer World, used to take up so much of my time. I used to spend morning, noon and night thinking up new topics to write about and then Hyperfocus on writing about them. And then suddenly, I stopped. That’s the way of ADHD sometimes. It’s the way of my life. I can get so intensely interested in doing something and then all at once, one day, I’ll just stop. No warning whatsoever, and when I stop something, I usually don’t look back. Well, perhaps years later I’ll look back and wax nostalgically and sometimes (far too often) there will be pings (deep penetrating stabbings) of regret. If I am going to be honest with you, I would not be writing on ADDer World now if I had not subdued my fear of failure long enough to finally publish “10 Things I Hate about ADHD, Plus 10 More” on Amazon. If that book had not been waiting for me to get up the nerve to publish it, ADDer World would have just faded away. I had moved on. The book though, you know, the crazy one about those 10 things I really hate about ADHD, it kept calling me back. It would not let me go. Not just yet. 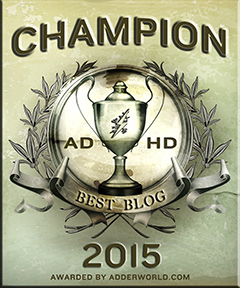 But the truth is there are far better blogs out there about ADHD, with wiser people writing about the challenges we deal with and helping people feel connected and better about themselves. You deserve the best. The below list of blogs and websites is far from complete, but they are all excellent blogs for your consideration. They are the best of the best. Most of them are updated regularly, and some of them semi-regularly, and those updated less often I included because they have some very helpful content. The Champion Badge. Click for large version. As I mentioned there are many more excellent ADHD websites and blogs and if you would like to recommend a specific ADHD site or comment on this post, you can do that on Facebook, (click) here. Again, thanks everyone. Share these awesome sites via the links below.